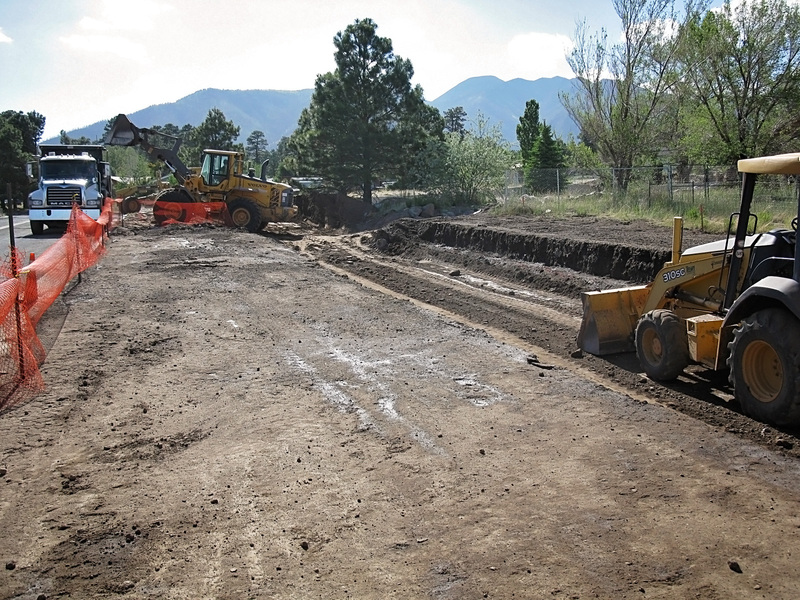 This new 55 lot subdivision in the exclusive Seven Canyons Resort consisted of 73,750 cy of earthwork, including drill and shoot and hard rock excavation in addition to demolition of existing structures, 1,167 lf of storm drain ranging from 18” to 42” diameter, 620 cy of rip rap, 2,783 lf of gravity sewer main, 2,383 lf of gas main, 3,124 lf of dry utility trench and conduit, 5,010 lf of concrete curb, and 6,740 sy of asphalt. Contracting Entity: Cooper Companies, Inc. 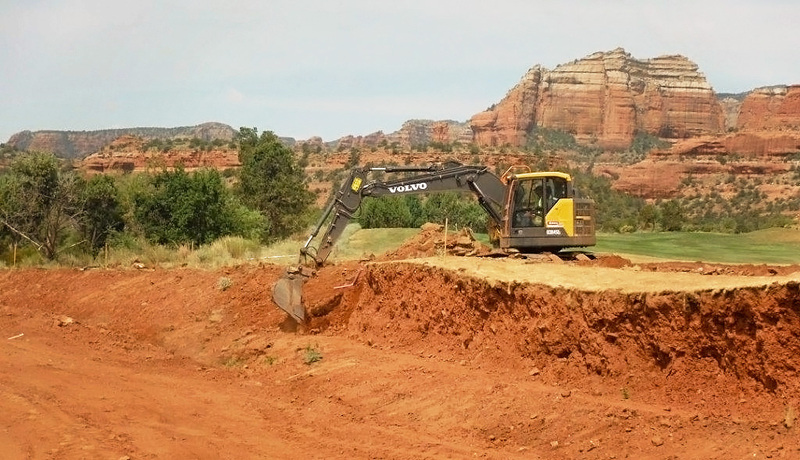 The most recent phases of this project consisted of 42 new home sites in east Flagstaff and was completed ahead of schedule and below budget. 14,592 cy of excavation, 4,750 lf of water mainline, 5,421 lf of gas trench, 7,301 lf of dry utility trench and conduit and 13, 195 sy of asphalt paving.